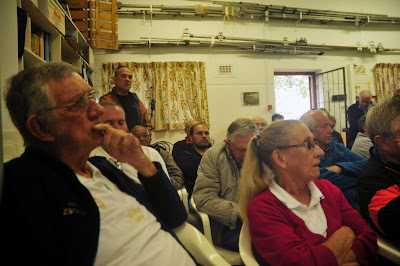 On Saturday, 23 May at 14h00, members and friends of the Cape Town Amateur Radio Centre met at the clubhouse in Rondebosch. 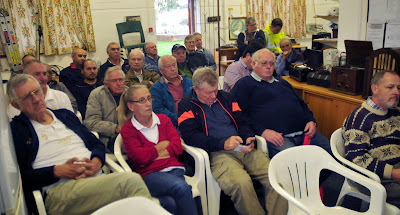 In spite of overcast wintery weather, the meeting was well attended. 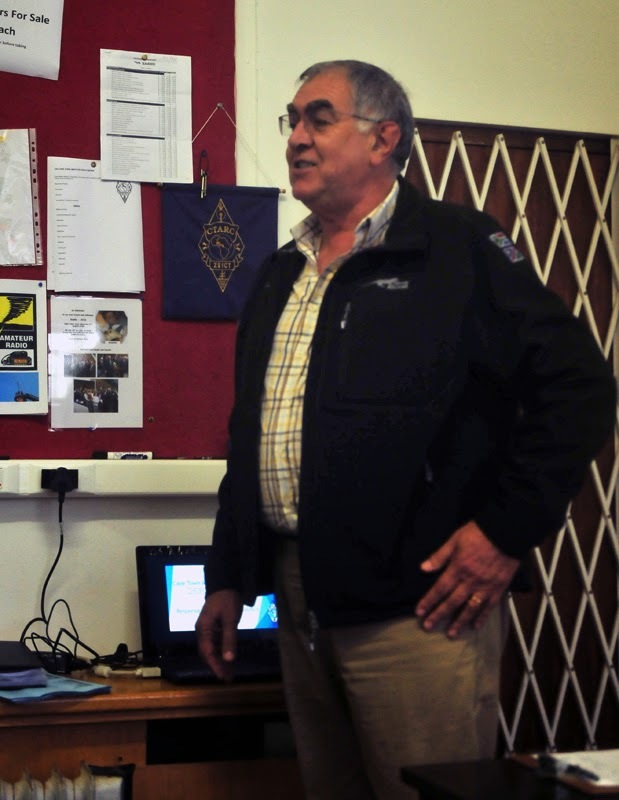 Our chairman Rob / ZS1SA made the very exciting announcement that we plan to upgrade our club station to remote access capability. This development will be made possible with the very generous assistance from a long-standing club member. Then we were introduced to Johann Marais / ZS1JM, who is an attorney by profession and is on the SA Radio League Council as Legal Advisor. 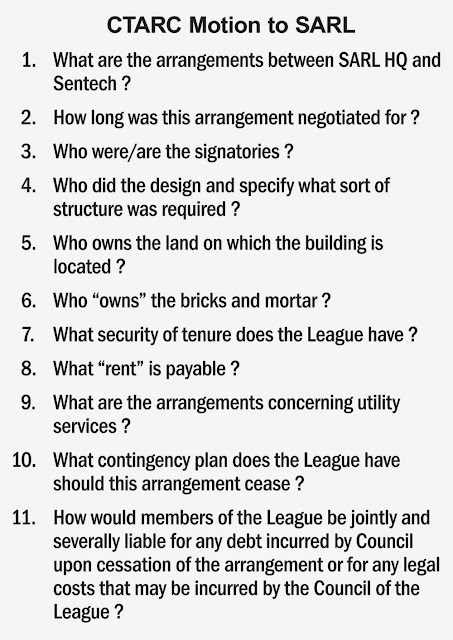 Johann was at our meeting to answer a series of questions (see below) presented as a motion by the CTARC Committee to the SARL at the recent AGM held in Bloemfontein. Johann gave a Powerpoint presentation, basing his responses to these questions on documentation he was able to unearth from the SARL archives. His delivery was logical, factual and unemotionally delivered, clearly indicating a lot of preparation beforehand. Johann addressed all ten of the questions that the CTARC put to the SARL Council. The CTARC committee and membership of the club were satisfied with the explanations provided. At the end of the presentation, the floor was opened to questions on various subjects, which were robustly debated. 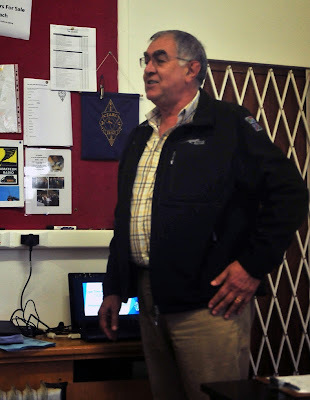 Johann received a hearty round of applause from the members attending the meeting in a display of their appreciation for his efforts and concern. Because the first part of the meeting took all our attention, Nick /ZS1ZD's talk has been postponed until the June 2015 meeting next month. 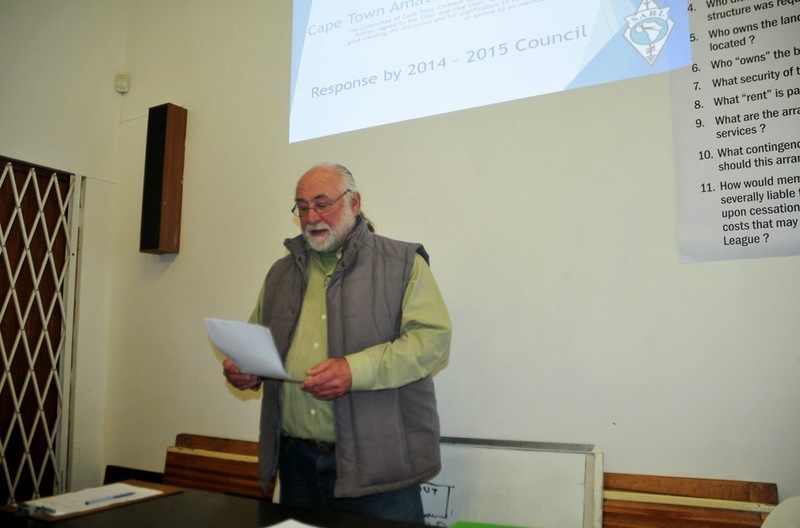 Our chairman Rob /ZS1SA opens the meeting with an exciting announcement. The meeting was well-attended, in spite of the wintery weather outside. 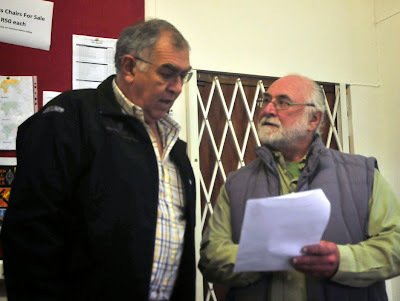 ZS1JM (left) and ZS1SA discuss matters briefly before Johann delivers his report-back. 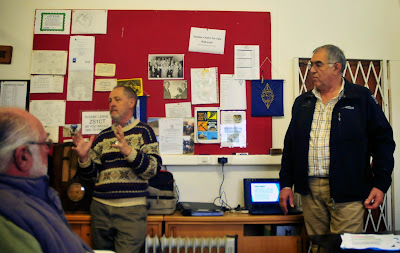 Paul /ZS1S (standing, left) clarifies a point or two in the discussions. The Cape Town Amateur Radio Centre will hold its May 2015 monthly meeting on Saturday 23 May at 14h00, at the usual venue, the Belvedere Community Centre, off Laidlaw Lane in Rondebosch. 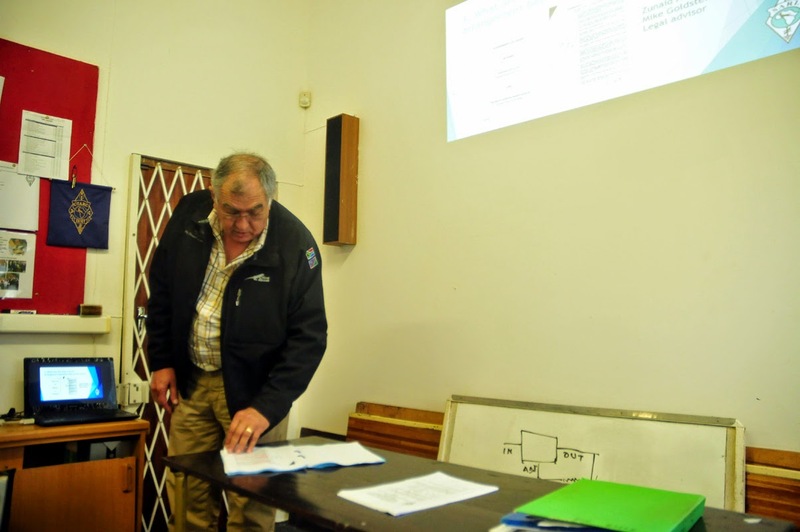 At the meeting, Johan Marais / ZS1JM will provide answers to a series of questions (available as a PDF here) that the CTARC Committee submitted (by way of a motion) to the recent SARL Annual General Meeting held in Bloemfontein, regarding funding for and ownership of the SARL HQ building and utilities. 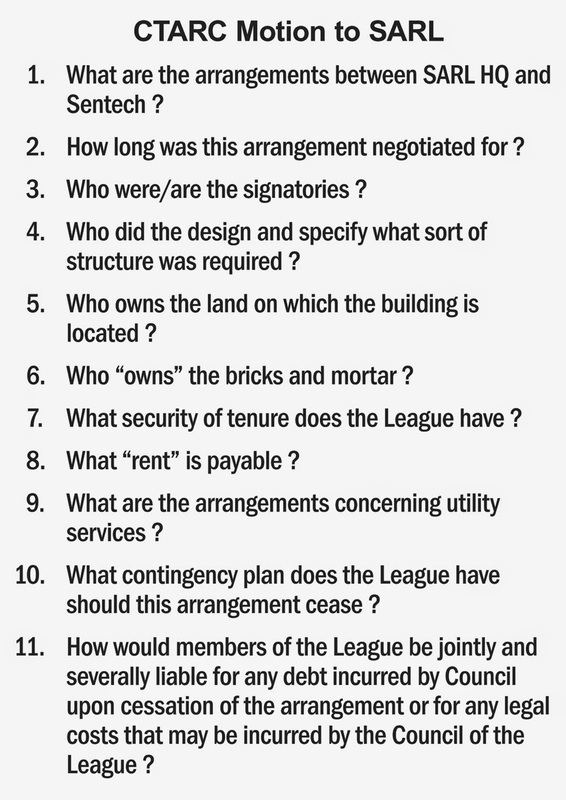 This is important because it deals with issues pertaining to the infrastructure of the SARL HQ building. We eagerly await Johan's feedback.